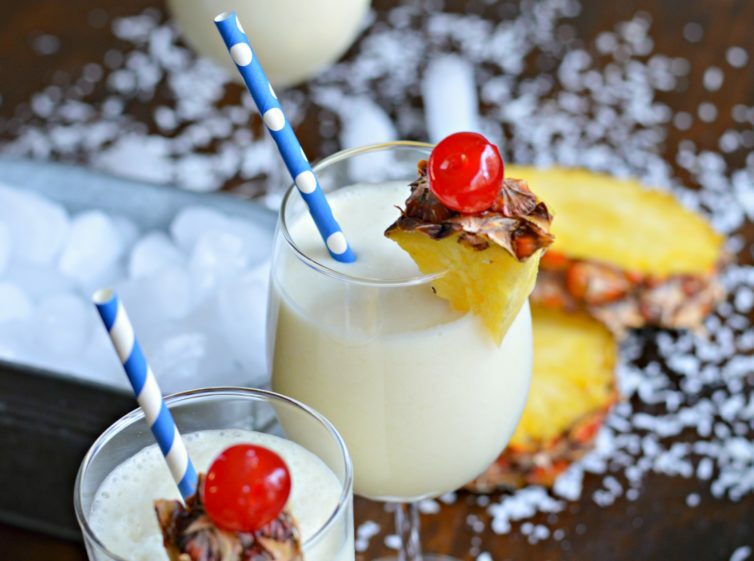 Inside: Even if you don’t drink alcohol, you can still enjoy the refreshing and delicious flavors of the famous piña colada. Keep reading to find out how to make this smooth and creamy beverage. Pineapple and coconut are two very popular fruits where I am from. In fact, we had palm trees in our yard growing up! Whenever we were craving a coconut, I just had to ask my dad to cut one down and in a matter of minutes, we could be drinking the delicious coconut water. Pineapples weren’t quite as readily available, but there was a place about 3 hours from my house where they were grown in very large quantities. On a couple of occasions, I was able to go there and watch how they harvested them. Pineapple is grown in large fields since they need a lot of space to grow. I always remember that the workers had to wear heavy-duty gloves to protect their hands. With all of that said, we were able to get both fruits at very good prices in my city. That is why we often would accompany our meals with fresh fruit juice. 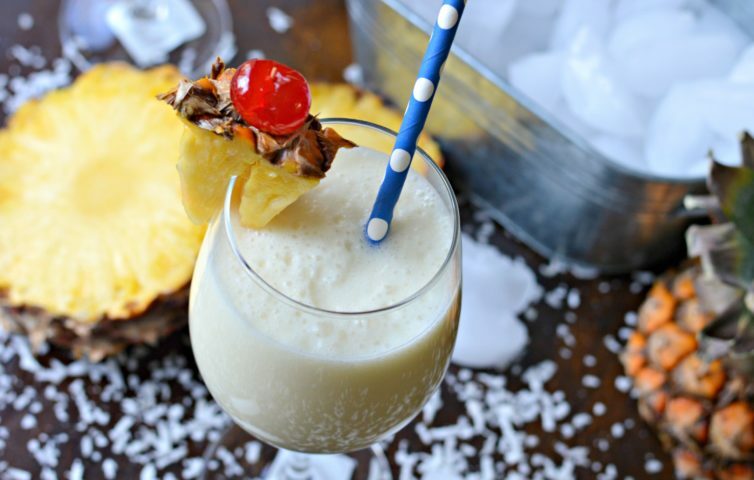 One of my favorite beverages to drink growing up was a virgin piña colada, which we called “piñadas” in Spanish. A few months ago my husband and I had the opportunity to travel to Cancun to celebrate our anniversary. We had a great time and were able to visit Xcaret park, which was amazing. We also were able to enjoy tons of authentic Mexican food. My husband absolutely fell in love with virgin pina coladas on this trip and had it with every meal pretty much! Ever since we got back, he has still been asking for it. To find out more about the resort that we stayed at, click here, and for 5 must-see attractions for your visit to Xcaret, click here. 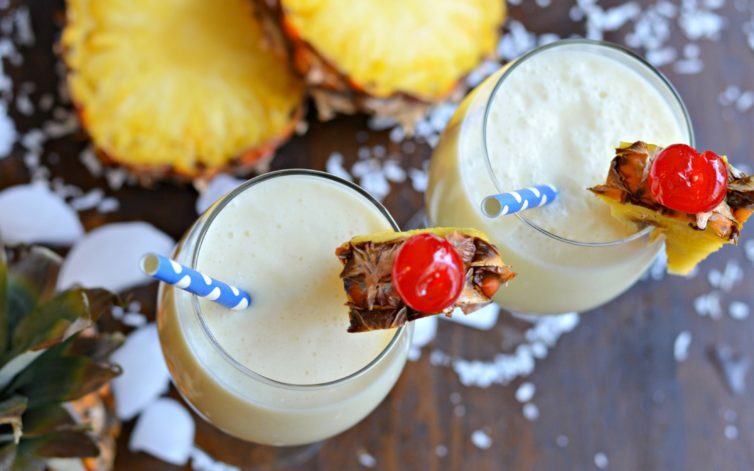 We love this virgin piña colada recipe. It is creamy and refreshing and ideal for those of us that do not drink alcohol. That means that we can also share it with our kids, and of course, they love it too. We understand everyone has different ideas though, and many people like to make this using rum, which is the alcohol that is used in the original version. The difference is in the final ingredients. For the traditional version, you will add rum. There are different flavors, such as coconut, pineapple, and orange rum which can be popular here. 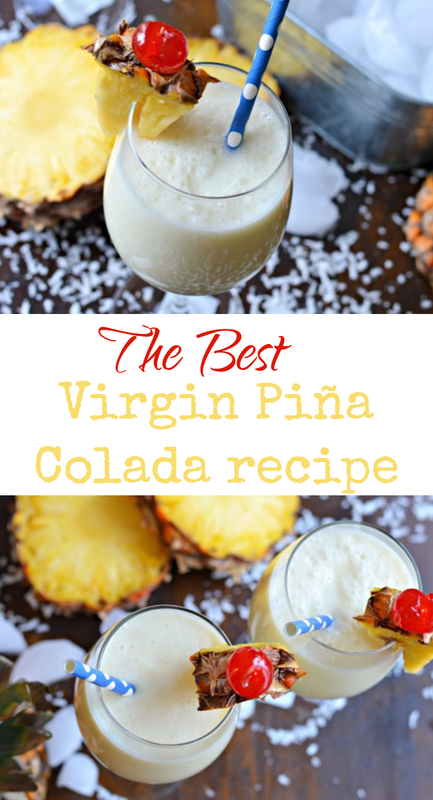 For the virgin piña colada, you replace the rum with sugar or with sweetened condensed milk. This gives it a more sweet flavor than the traditional version, and we love it! 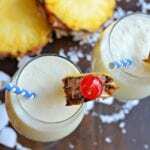 How do you make a virgin Piña Colada? 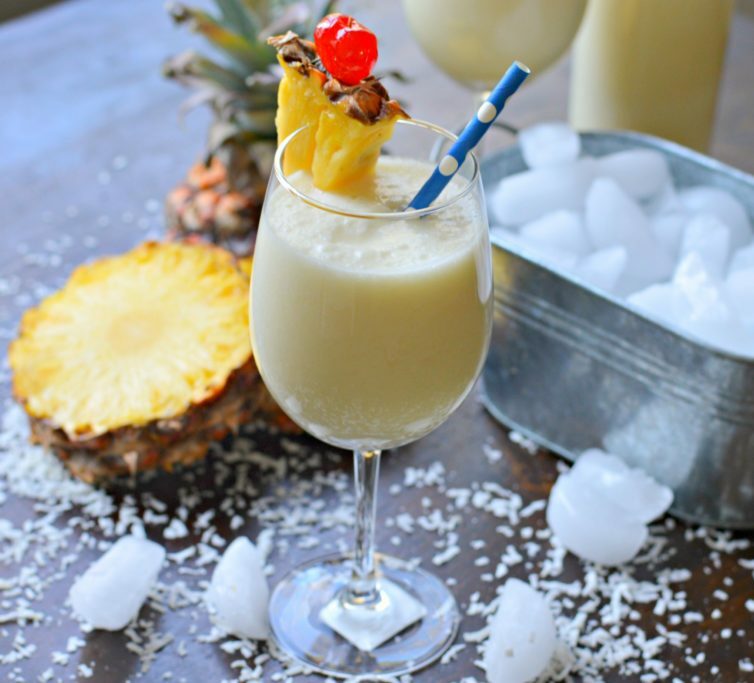 There are two simple methods for making a Piña Colada, whether virgin or traditional. The method you choose will determine the consistency of the final product. The first method is to add all of the ingredients to a blender, in which case the final product has the consistency of a very smooth shaved ice. The second method just combines the ingredients in a chilled cocktail shaker. This will result in a smooth flavor without the icy consistency. This drink is perfect for any celebration or event. With Valentine’s Day coming up, this may be a great idea to add to your menu and I can guarantee it will be a pleasant surprise for the person you share it with! Let me know in the comments how it turns out. 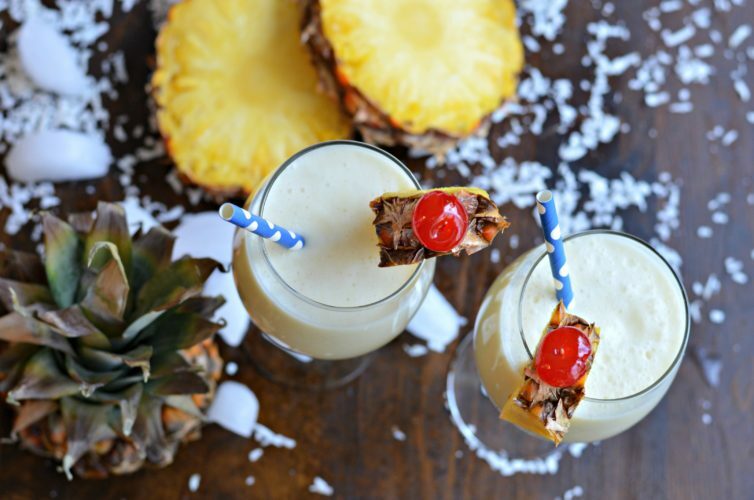 Even if you don't drink alcohol, you can still enjoy the refreshing and delicious flavors of the famous piña colada. Keep reading to find out how to make this smooth and creamy beverage. Combine all of the ingredients in a blender and blend to your desired consistency.